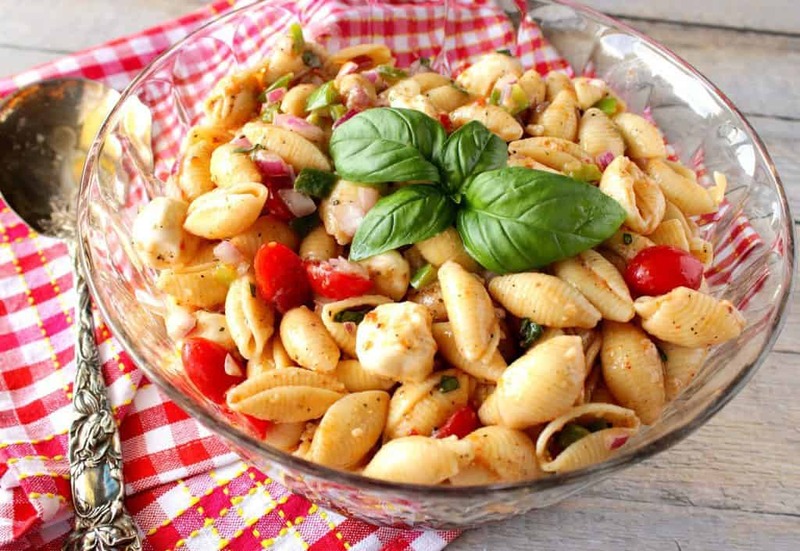 Italian Shell Pasta Salad with Mozzarella, Basil & Tomatoes comes together quickly with the help of store-bought bottled Italian dressing. 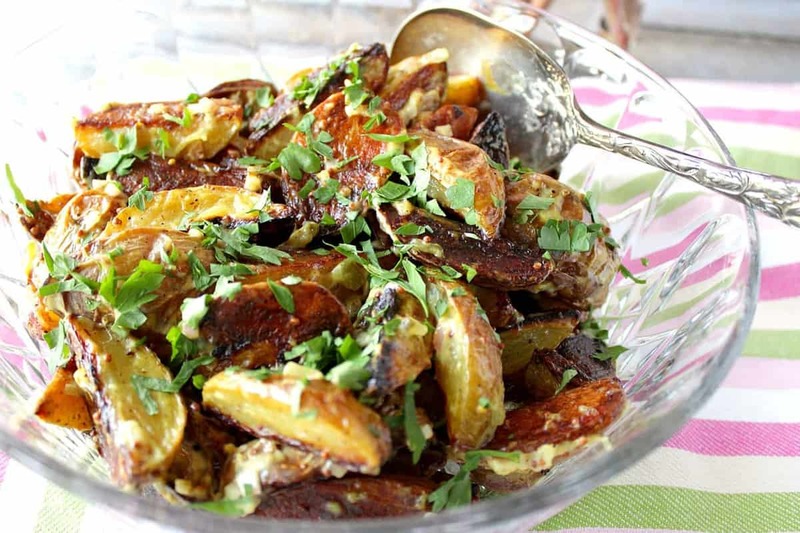 It’s wonderful as a chilled side dish or a vegetarian main course. I always gravitate towards a cold pasta salad when it’s out on a buffet table at a party or gathering. However, I honestly think it’s been several years since I’ve made one myself. 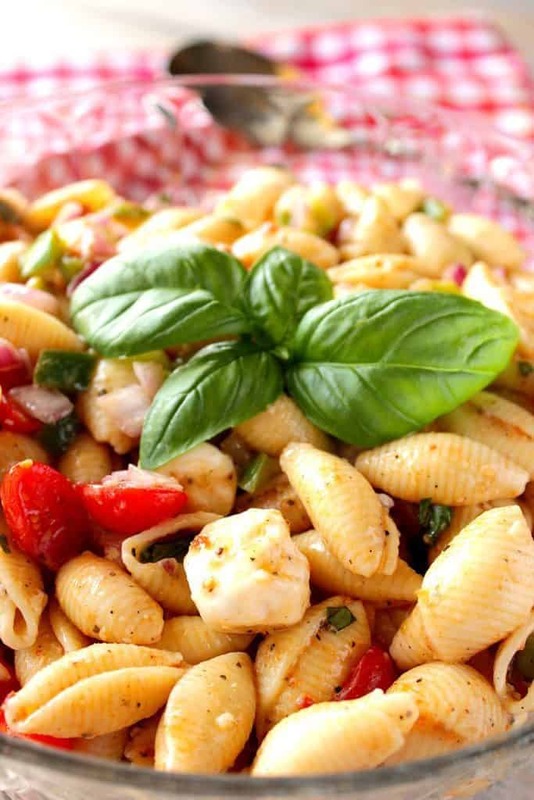 I’m not sure why it’s taken me so long (since I do love them so much), but all that changes as of today with this recipe for Italian Shell Pasta Salad. The thing I love most about this Italian Shell Pasta Salad (besides the pasta itself) is the addition of the fresh Mozzarella Fresca (fresh baby mozzarella balls), so I made sure to add plenty. 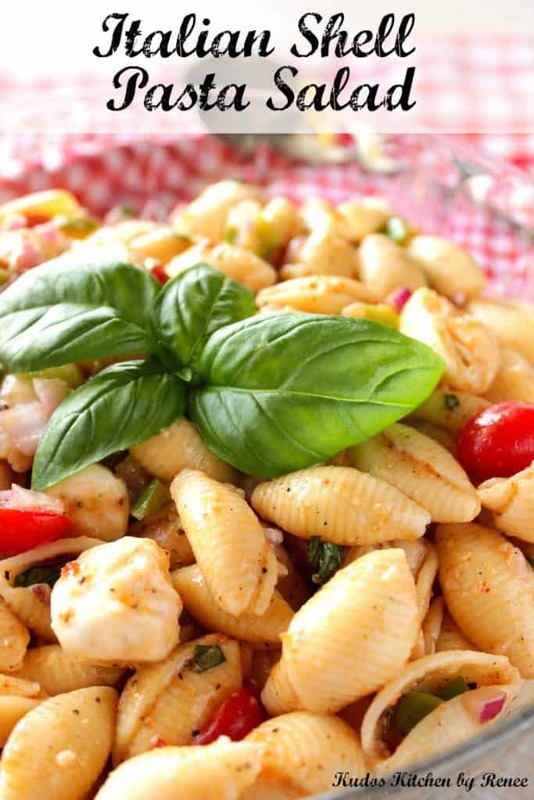 There is something so tantalizing about biting into tender, soft pillows of fresh mozzarella that are partnered with perfectly cooked pasta shells, and then smothered in big, bold Italian flavors! 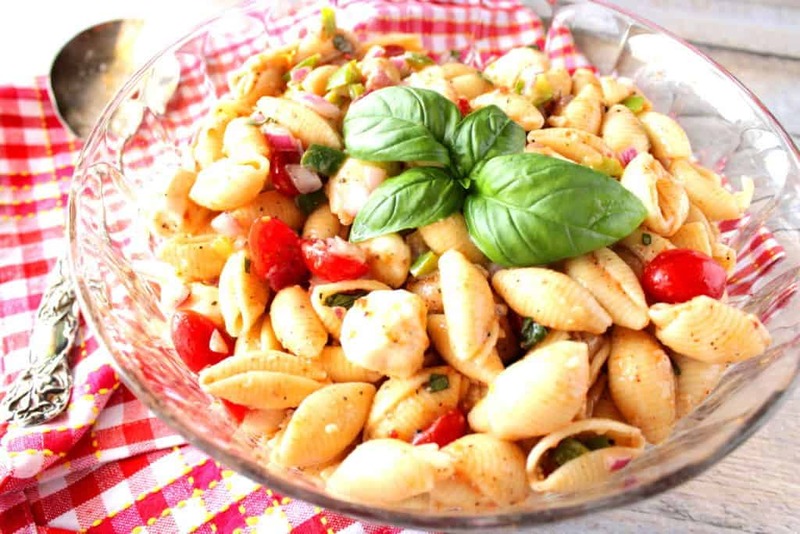 **Please Note – The printable recipe card with detailed instructions and complete ingredient measurements for making Best Italian Shell Pasta Salad is available near the end of this post. If you’re looking to make this recipe as more of the main course (for the carnivores in your life), feel free to play around with it. What about adding some cooked chicken (store-bought rotisserie chicken is always a good choice), or maybe even some Italian sausage (leftovers work well for this) that have been pre-cooked and then tossed in with the pasta before chilling. Oooh, before I forget! Cubed salami or sliced pepperoni would be great too! You be the judge. It’s your salad, done your way! Cook the medium shell pasta according to the package directions, minus 2 minutes. Drain. Add the Italian dressing to the cooked and drained pasta along with diced green bell pepper, and diced red onion. Add a touch of extra virgin olive oil and black pepper. Stir well to combine. Allow the pasta to cool for 20 minutes. Once the pasta has cooled, add grape tomatoes, and the mozzarella cheese balls. Stir well to combine. Refrigerate the salad at least 1 hour. Garnish the pasta salad with freshly chopped basil and serve cold. 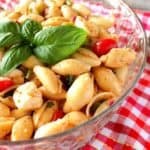 Italian Shell Pasta Salad comes together quickly with the help of store-bought bottled Italian dressing. It's wonderful as a chilled side dish or vegetarian main course. 1 box medium shell pasta, cooked 2 minutes less than package directions, and drained. 1 cup bottled Italian dressing, I used roasted red pepper Italian, plus additional if needed. 2 8 ounce containters mozzarella Fresca, (cherry size) drained. Add 1 cup of the Italian dressing to the hot cooked and drained pasta. Stir in the black pepper, bell pepper, red onion, and olive oil. Allow the pasta to cool for 20 minutes. Add the tomatoes and drained mozzarella to the pasta. Spoon the pasta salad into a large serving bowl. Cover with plastic wrap and chill at least 60 minutes. Right before serving stir in the fresh basil leaves, and additional Italian dressing if needed. And since every Italian dish is better with a nice glass of wine, I thought I’d pair this recipe post with my colorful and whimsical new apron design that’s all about food…and WINE! Many people think that this quote is from Julia Child, but I believe it’s actually a quote from W.C. Fields. Either way… I find it fun, and very appropriate. I hope you’ve enjoyed this recipe for Italian Shell Pasta Salad with Mozzarella, Basil & Tomatoes as much as I’ve enjoyed bringing it to you! 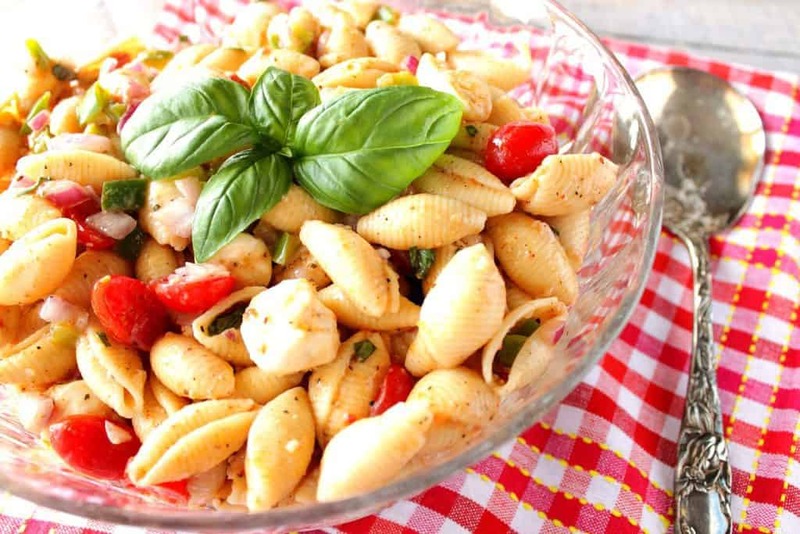 Should you have any questions regarding this recipe for Italian Shell Pasta Salad with Mozzarella, Basil & Tomatoes, or anything else you see on my site, please don’t hesitate to contact me directly, or leave me a comment in the comment section below. It is always my distinct pleasure to get back to you with a reply just as soon as I possibly can! I love salads like this. Perfect for summer! Wow this salad not only looks amazing but it looks refreshing! That’s a great way to describe it, Meg. Refreshing. It really is! I want to bring this to every summer picnic this year! I think you should! LOL Every one! I rarely use shell pasta but it looks perfect in this salad! Love how quick and easy it is. I don’t use shell pasta often but this time I knew it would be the perfect fit! Thanks, Valerie. The name of this salad sold me right away but your suggestion of adding salami – yes! I am totally in! Next time I make it I’ll be adding salami for sure. Or bacon. Maybe bacon! Thanks, Anna! Pasta salad is one of my favorite things! Can’t wait to try this one! I know you’ll love it, Jessica. This is such a perfect Summer salad for barbecues and potlucks! It really is, Kimberly. It’s even better the next day. Gotta love pasta! You made a wonderful pasta salad here and I am really looking forward to it! Thanks, Ginny. I hope you love it! I love shell pasta so I’m totally in love with this recipe. It’s perfect for summer picnic or to bring to a potluck. Great photos. Thank you very much, Kim. That means a lot to me, coming from you! I’m going to go have to go ahead and agree with you that nothing beats fresh mozzarella. This pasta salad looks divine! Thank you so much. Fresh mozzarella, rocks! 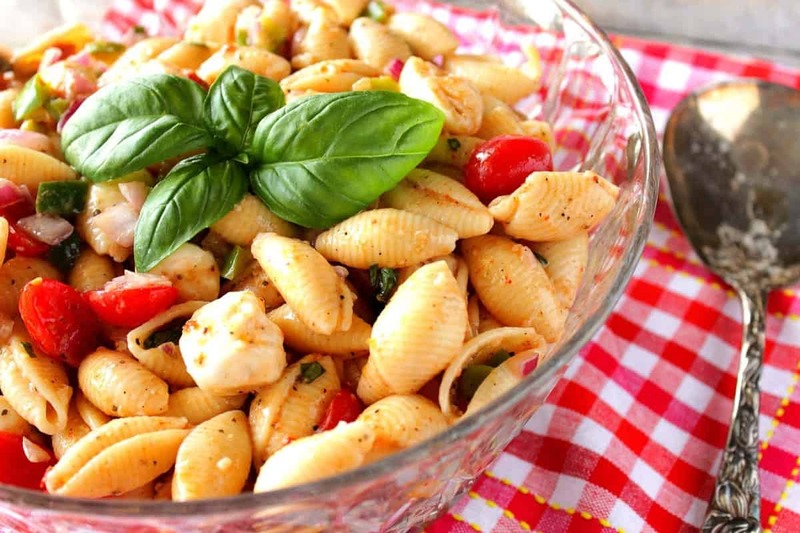 I am also drawn to pasta salads on a buffet table… mmm and I especially like shells! I can see this tasty salad in my picnic basket! 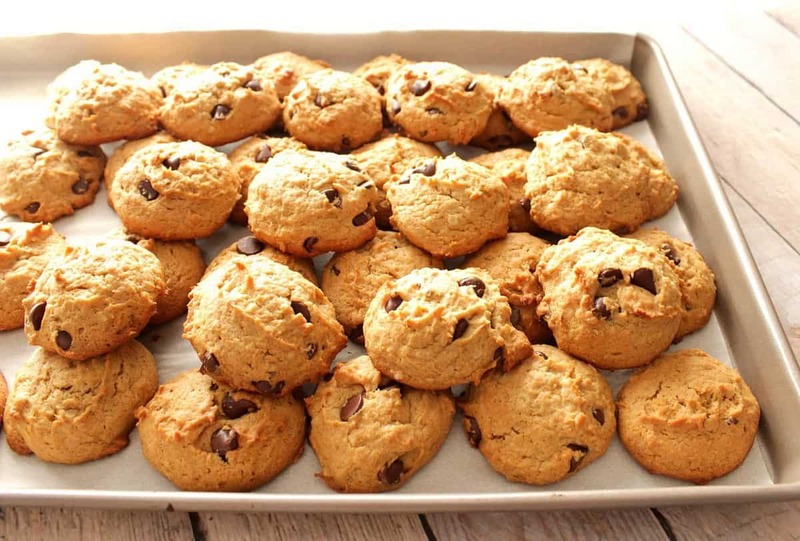 What a wonderful recipe, Renee! 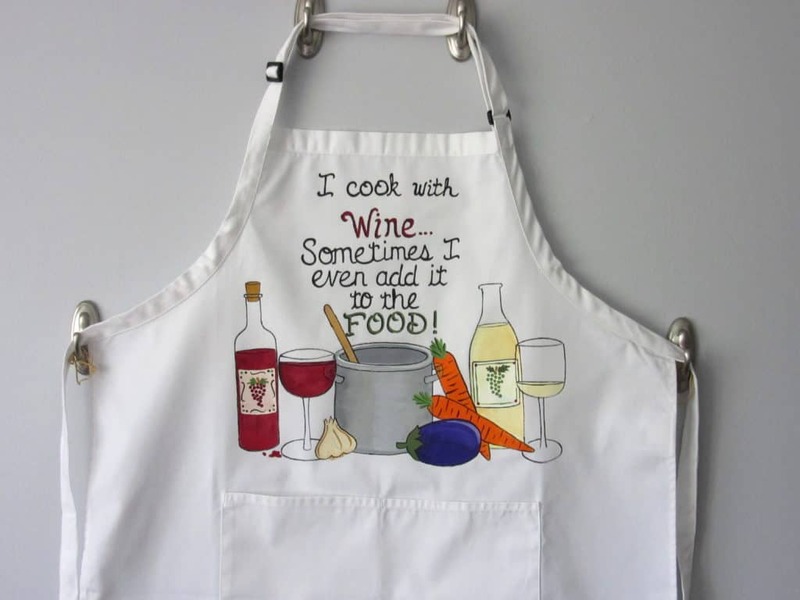 And the apron is adorable. I’m always wowed by your creativity!